Magic The Gathering 2014 – Duels of the Planeswalkers is the new chapter of the franchise Duels of the Planeswalkers that as each year appears in it appointment with more and more news. This game combines all the strategy of traditional letters with an interesting campaign with its own history and other features. Do you suffer summoning sickness? For if you walk a little lost this new edition will be linked intrinsically to the 2014 collection of Magic The Gathering, both for their letters and its history. Offer new type, to 10 new decks, 15 new games, 10 new challenges as a puzzle, a new game mode plus many more new features. And as mentioned, this game holders will enjoy exclusive digitally letters this next collection 2014. Magic The Gathering Duels of the Planeswalkers is a saga that began back in 2009 causing gaits well accepted and each year has been overcoming itself and fixing everything that the players reported. Today, thanks to the continuous feedback and its redesign, talk about perhaps the best electronic card game in the world. Yes, the fans are still waiting to be possible total edition of our deck of cards. 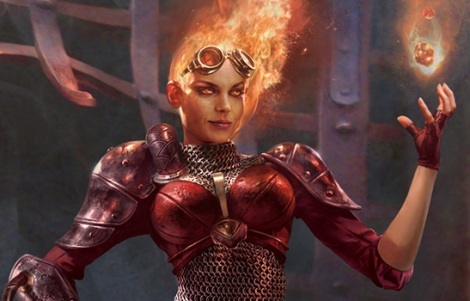 Almost anyone with a digital entertainment platform will gain Magic The Gathering 2014 Duels of the Planeswalkers. The game released on for PC, Xbox 360, Playstation 3, iPhone, iPad and Android. Best of all is its price, which will cost €9.90.